Building your personal brand on LinkedIn can have a dramatic impact on your sales results. Here’s a basic-to-advanced approach. You could argue that personal branding is the foundation of social selling. Without a strong online brand, it’s simply more difficult to engage sales prospects. Even if you excel at growing relationships, every sales relationship starts with a successful engagement. While there’s no one-size-fits-all, step-by-step method for personal branding, I’ve found that you can plot your course along a three-step maturity spectrum: basic, intermediate, and advanced. Read on to see where you currently sit within the personal branding maturity spectrum, and discover actionable recommendations for taking your personal brand to the next level. 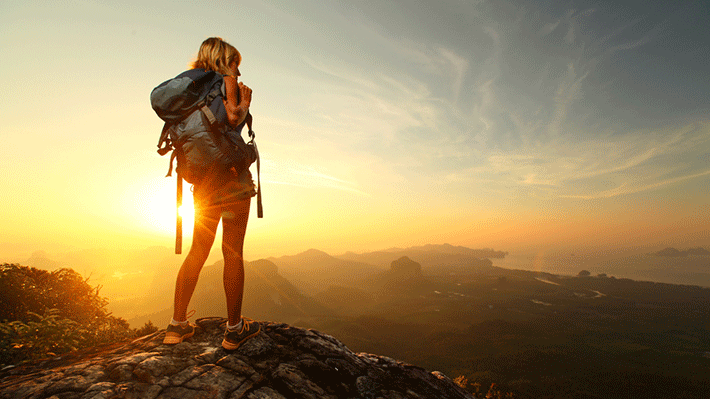 At the bottom of the personal branding spectrum is a complete LinkedIn profile. It’s not enough to publish a bare-bones profile. Our research has found that 50% of buyers will avoid sales professionals with incomplete profiles. The easiest way to exude professionalism, helpfulness, and competence online is by completing your LinkedIn profile. Your profile shapes how sales prospects perceive you when you’re not around to defend yourself. Feature a professional photo, strong headline, and a summary that invite engagement. In addition to being professional, the photo should be friendly and representative of you in a face-to-face sales setting. Customize your headline to describe your experience and vision in a way that emphasizes your value to clients. Get to the gist by explaining who you help and how. Then, populate the summary and experience sections to showcase how your approach and experience benefits your customers. Maximize your real estate to explain what makes you different. Sell yourself the same way you’d sell anything else – buyers aren’t interested in your “features” – they are only interested in how they will personally benefit from working with you. 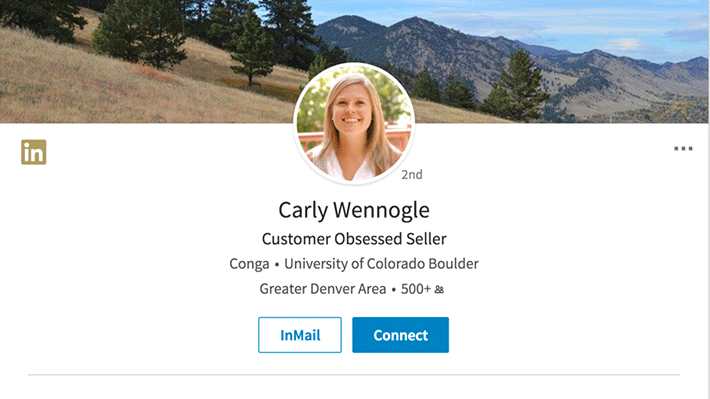 As an example, here’s a LinkedIn profile that serves as an example of a strong social selling presence: Carly Wennogle. Her photo is professional yet warm, she highlights her value in the headline and summary, she publishes content relevant to her target audience, and has compiled an impressive number of endorsements (more on endorsements below). An often-overlooked bit of prime real estate is the “Background Photo” (the space above and slightly behind your headline and picture). If you haven’t already, update a visually pleasing image that relates to you in some way. You can also capitalize on that space with an image that conveys your value. Social media expert Neal Schaffer does just that by highlighting images of his books. 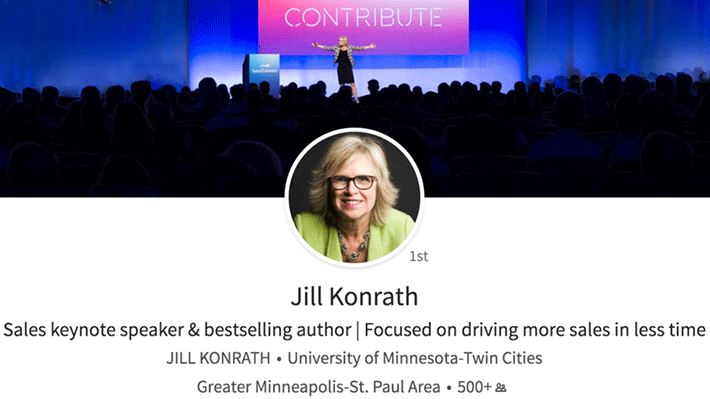 Jill Konrath accomplishes this by highlighting her public speaking experience with a photo from LinkedIn Sales Connect. These background photos provide Neal and Jill with instant credibility. Speaking of credibility, to support what you say about yourself, ask for recommendations and endorsements from satisfied clients. Remember to give to get. In other words, offer to provide recommendations to others before soliciting recommendations from them. Scroll down to the Recommendations section and click Ask to be recommended. Type the name of the connection you'd like to ask for a recommendation in the Who do you want to ask? field. Select the name from the dropdown that appears. As you ask for recommendations, write a personalized message to accompany the official recommendation request. A solid recommendation describes how you collaborated and includes specific examples of how the client benefited by working with you, so don’t be shy about asking your client to include those in the write-up. Finally, LinkedIn assigns a generic URL to your profile, but a custom URL looks more professional. In addition, adding your custom URL to your email signature will increase the likelihood of others engaging with you on LinkedIn. Boost the likelihood of being found by personalizing your LinkedIn web address to match your name or what you do. For example, your URL could be “LinkedIn.com/in/yourname” or “LinkedIn.com/in/crmautomationguy.” If you’re thinking about customizing your profile URL to describe what you do, make sure it will stand the test of time. If you’re not sure, it’s safer to customize your URL using your name. On your profile page, click Edit your public profile in the right rail. Update your public profile settings will show up if you don't have a public profile. Learn how to enable your public profile visibility. Under the section Edit public profile URL in the right rail, click the Edit icon next to your public profile URL. It'll be an address that looks like www.linkedin.com/in/yourname. See this LinkedIn Help page for additional tips. To provide the ultimate value, your profile should do more than list your work history and accomplishments. It should be a valuable resource for the people you’re trying to engage. Imagine a qualified sales prospect thinking, I’m glad I found this salesperson’s profile. That’s what you’re shooting for. Think of ways to incorporate multimedia as it tends to attract more attention and thus, more sales opportunities. Our eyes can glaze over when we’re staring at a screen full of copy. Multimedia breaks up the copy and offers an interactive way to engage your audience. Plus, every human is a visual thinker: 75% of the neurons in our brains process visual information. In fact, we process visuals 60,000 times faster than text. Here’s another way to think about it: 40% of people will respond better (and faster) to visual information than with plain text. Simply put, if you don’t tap into your audience’s visual side, you are missing huge opportunities to engage. One option for adding multimedia is to include videos produced by your company (about topics of interest or ones featuring you discussing top-of-mind issues and trends). You can also take advantage of SlideShare to convey your story. Over 80% of SlideShare’s 80 million visitors come through search. That means when they find your content, they’re interested in it. This can help you build your reputation with the right audience and cultivate more professional opportunities. Here’s an example of a sales professional who uses multimedia to his advantage. Here you will find instructions for adding, editing, and removing work samples on your LinkedIn profile, along with the supported file formats and sizes for uploading content to your profile. Does it get any better than people valuing your opinion before your first interaction? When your online presence exudes thought leadership, buyers are naturally drawn to you. As you gradually figure out how “you do you” in a professional, online setting, here are some practical steps for becoming a thought leader and gradually building credibility. Start by immersing yourself in your space. Follow the companies and experts you admire on LinkedIn. Keep up with industry happenings. Follow topics you’re passionate about and, when you feel like you can contribute to the discussion, add your perspective to the mix. Continue the conversation, so to speak, by engaging in online discussions on your topic of interest. Even if you never publish content, staying up on your industry helps you engage intelligently. By publishing a variety of content on LinkedIn, you can quickly grow your audience and network. Accumulating followers has a multiplying effect by extending your reach and influence over time. Think of it this way: every single person you are connected to has an extended network of connections. When they share your content with their networks, you instantly and exponentially increase your reach. People in those extended networks may decide in turn to follow you based on the quality of content you’re publishing, offering you more opportunities to connect, engage, and possibly convert. Don’t forget to use your network as a way to further amplify your influence by sharing industry information and articles that add value. The more you share content that matters to your ecosystem – even if you didn’t author it – the more people will view you as a subject matter expert. 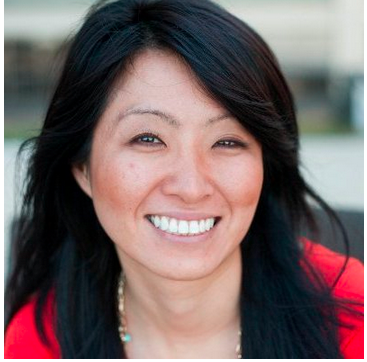 Personal branding is a critical component of the modern seller’s skillset. Make a concentrated effort to improve it, even if it’s slow and steady, and the results will follow. 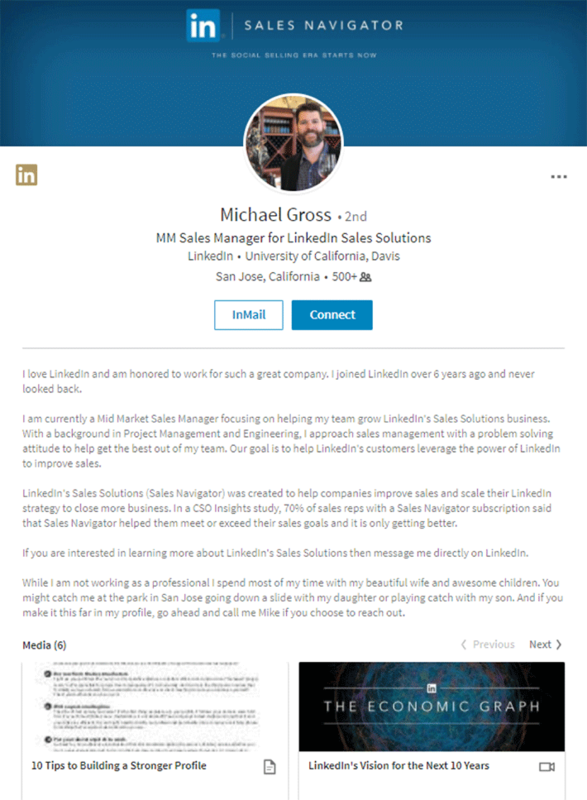 For more ways to shine up your social selling presence, download LinkedIn’s Professional Profile Kit and get the tools you need to make a good impression this year.